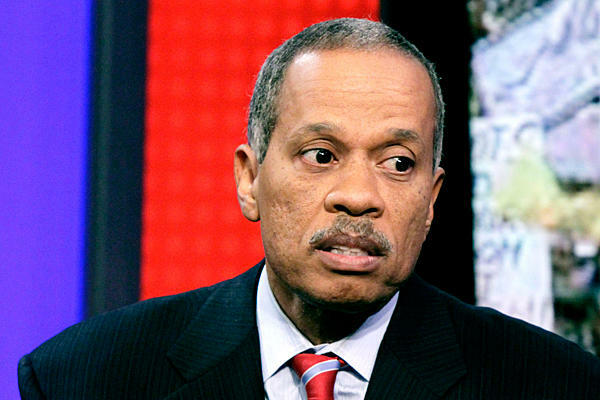 Well, it’s official… Juan Williams is delusional. He’s gone stark raving, moonbat, ding dongs and lives in a totally different reality from everyone else. I would counter with there has never been a worse President than Obama in terms of showing his support for the US military. In fact, Obama leaves all the others in the dust of history over this and many other issues. He’s done his level best to gut, disparage and put our military in harm’s way at every single opportunity. I totally understand everyone on the panel enthusiastically disagreeing with Williams. He’s an idiot. No… he’s a useful idiot. Fox News contributor Juan Williams claimed on Friday that no commander-in-chief has ever been better than President Barack Obama in terms of showing his support for the U.S. military. The opinion caused the panel on “The Five” to erupt in disagreement. Williams’ remarks came after actress Stacey Dash said the president of the United States should be able to unite the country, something she doesn’t feel Obama has done. “Let me just say, when it comes to our military, I don’t think there’s any president who has expressed himself better than President Obama in terms of support of our military,” Williams said. “You couldn’t be more wrong,” co-host Kimberly Guilfoyle said. Obama not only hasn’t united the country, he’s actively divided us. And it has been intentional. It’s part of his Cloward and Piven-driven agenda. I think saying 15 percent of the military approves of the President is way over-generous. They despise him and they despise the sycophants he has replaced their real leaders with. They are a bunch of spineless jelly fish… effeminate hacks who only do what they are told and they goosestep on cue. They are incompetent and dangerous. And it’s not just ‘politics’ as Williams asserted. It’s life and death. It’s national security. It’s the safety and protection of our country at stake. One that Obama loathes and certainly does not love.